Robert Bennett is an abstract artist of unusual ability and talent. His compositions are colorful, energetic and dynamic. At first glance these vibrant prints seem wild and chaotic. Upon further inspection we find all varieties of abstracted objects; men, magnets, multi-legged machines and animals of every description. 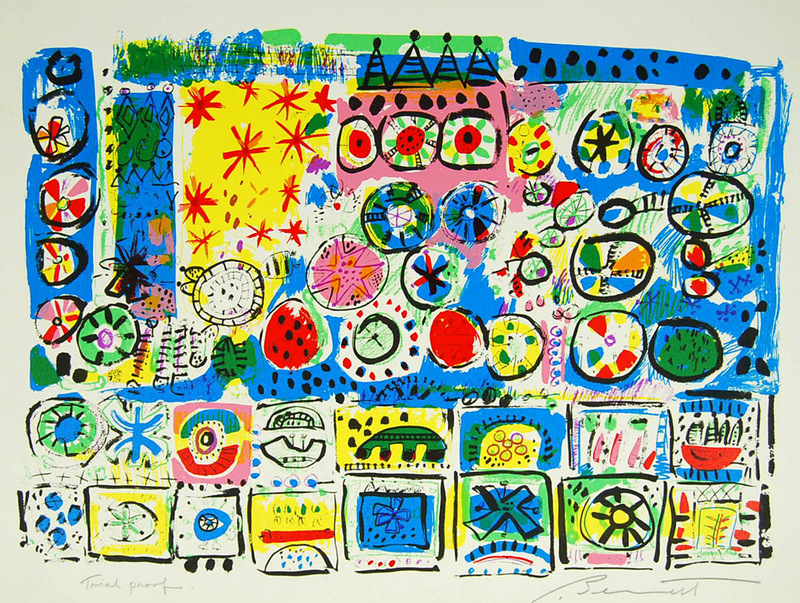 Bennett’s superior command of print techinque shows the influence of other abstract print-masters; Miro, Dubuffet and Calder, all of whom his work resembles. The play of these supercharged visual elements make Bennett’s art work interesting and allow the mind to take in its symbology and organization at an unconscious level.